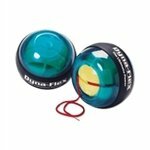 Dynabee Dynaflex Pro Plus Gyro Exerciser - Blue from FirstOptionMedical.com is designed exactly like the Dynaflex Pro with the addition of a removable cap to allow for the attachment of the optional Speed Meter. Reaches up to 11,000 rpm and creates 30 lbs. of torque resistance to increase range of motion, and to condition arm, elbow and shoulder muscles. 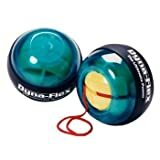 The Dyna-FlexPro Gyro Exerciser works by using muscle to counter the gyro motion in an isokinetic/isotonic manner.The more the user counters, the harder it gets. 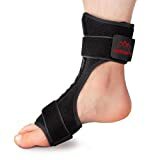 This item is great for injury prevention, rehab, warm up, coordination, strength building, and relaxation. It can also help prevent repetitive strain injuries and carpal tunnel syndrome. Men's Stable Grip Golf Glove is the "ONLY" Golf Glove Designed by an Orthopedic Hand Surgeon. It offers longer distance and greater accuracy. Anatomical relief pads help prevent the clubface from twisting at the moment of contact and increase swing speed. 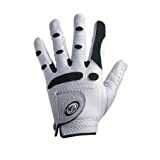 Natural dexterity and cool, dry hands the Stable Grip Golf Glove offers you allows have a better grip on your golf club. Motion zones over the knuckles and web zones between the fingers promote natural movement and help hands "breathe." Achieve second skin comfort; the combination of the pre-rotated finger design and top-grade cabretta leather helps the glove feel and fit like second skin. 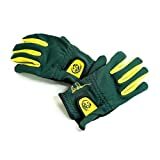 Get more for your money with long lasting durability the Bionic Classic Golf Glove lasts up to 2-3 times longer than traditional leather golf gloves!